Beware of Counterfeits – BoldLoft is the sole distributor of this item. Pillowcases (set of 2). Do not include pillows. Color: White. Eco-friendly and gift-ready packaging. Size: 30 x 20 inches (75 x 50 cm). Fits most standard and queen size pillows. Cotton/polyester mix fabric. Machine wash cold. No Bleach. Do not iron decoration. Featuring 2 boldly contrasting black and white love cartoon characters which review a love message by combining the design patterns together. They are perfect Valentine’s Day gifts for boyfriend or girlfriend. “You are my superhero and I’m your lady-in-distress, I am captured by your love and enticed by your tenderness. You’ve shown me someone who can face the world and you’re not afraid to be real, and most of all I love the way you live life with zest and zeal!” Looking for that perfect gift for your superhero? How about matching his and hers pillowcases! Valentine’s Day SPECIAL!! Limited time offer. Catch it when you can!! Pillowcases (set of 2). Do not include pillows. Color: White.Size: 30 x 20 inches. Fits most standard and queen size pillows. Cotton/polyester mix fabric. Machine wash cold. No Bleach. Tumble dry low. Do not iron decoration. Featuring 2 boldly contrasting black and white “stick figure” love cartoon characters which review a love message by combining the design patterns together. This playful theme is perfect for those flirts out there. 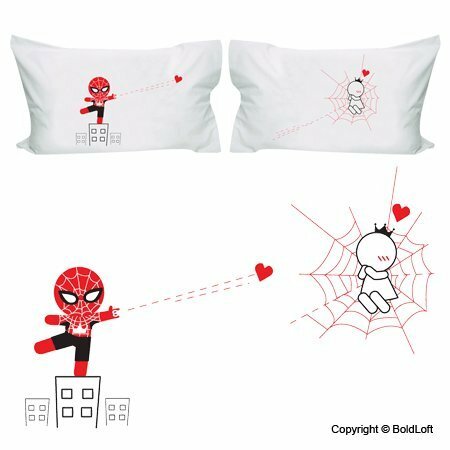 “Eenie Meenie Miney Moe, catch my love before you go if I holler don’t let me go, just show me how you love me so.” When you are together, so is your love and when you are apart, you can remember your love with these flirty pillowcases! 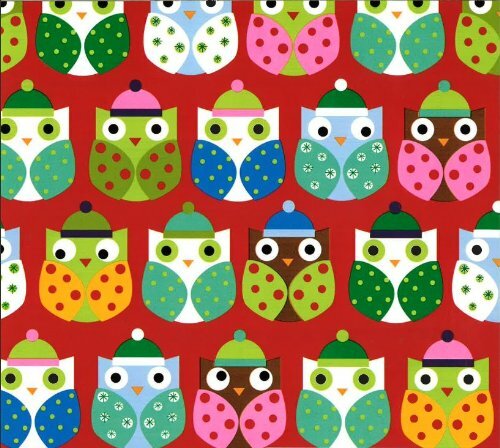 Wrap up the holiday cheer with premium gift wrap from The Gift Wrap Company. At The Gift Wrap Company we know that design details make all the difference, so we offer simple, yet personal ways to make gift giving special and memorable. The Gift Wrap Company has been helping make gift giving special since 1903, our tradition of excellence lives on in the workmanship and high quality of our products today.